When I was in university, I had a lecturer who didn't like unit tests. He was an eldery man who worked at IBM and gave lectures about mainframes. He always said, the hype about unit tests would simply double the amout of code written and do nothing for its safety. When I did my first big project in 2009, a HTTP API, nobody in the company I worked for (the company was founded in 2001) had written any unit tests. They had huge C/C++ and PHP code-bases. They did integration tests, but the project I had been given was the first that used unit-tests. I heard about it at university and wanted to make my first project look good right from the start. So I wrote a bunch of unit tests for every class, ending up with about 200 tests after the first version was released. Trying to hit that famous 100% coverage. Only a few months later the architecture of the API changed and somebody new at the project hat to rewrite more than 100 tests. In the lifetime of the project, the unit tests didn't prevent any major bugs, just the stuff I had in mind while testing the code, but they slowed down the development progress tremendously. Also, they forced some style on the code that was mostly there to ease the writing of the tests and not the resulting application. So what is your opinion about this? Did I do unit tests wrong? Is there an alternative? Are integration tests (black- or grey-box) enough when automated? Is TDD a placebo? Are type-systems the way to go? One of the important things that unit tests will do is to get you focused on SOLID, most notably single responsibility. It reduces the temptation to write "Swiss army knife" functions or massive blocks of if..else or switch..case code. When you work in short blocks of testable code it makes debugging so much easier. Likewise, if you find tests becoming elaborate, maybe some refactoring is needed. When you're working on a team, having the unit test gives other developers a guide as to how a particular function should work. If they come up with use cases you didn't anticipate, it provides an easy way for them to communicate it. When you're primarily working on the backend, it gives you something to demo in the sprint retrospective/demo. When debugging issues unit tests make it easier to locate problem areas both in integration testing and in production. Without having this testing you can spin your wheels trying to find bugs. Alternatives to unit tests? I've had to do these when working with legacy code where there were no tests originally written. Usually, these tests were in the form of one-off sandbox applications that would exercise a particular function or set of functions, trying to track down a bug. I've found this to be more inefficient than writing tests to begin with, particularly when trying to deal with critical production problems. Thanks for posting your experiences. ❤️ I have similar history with unit tests. Nowadays, I no longer bother to test everything. I do not believe there is enough ROI in doing so for most of our apps. I mainly test business logic. And when I say that, I mean only business logic. I practice Dependency Rejection, so business logic code is purely logic and is very easy to test. I will highlight the difference with a couple of images. This kind of design is what you normally see exemplified in unit test demos with interfaces being injected into business code. This makes "business code" not only responsible for business calculations but also handling IO. Despite those things being represented as interfaces, the code will likely need to know specifics like which exceptions are thrown or other effect details which are unique to type of integration. So it has the appearance of decoupling while potentially being still quite coupled. This kind of design also creates a lot of work in unit tests, since you have to create behavioral mocks of the injected components. The fact that you need a framework to dull the pain is a hint that it is not an optimal strategy. Here, the business logic code (inner circle) has no knowledge of other components outside of its purview... not even their interfaces. It only takes data in and returns other data. If IO is necessary to fetch the data, the logic does not care about it and is not responsible for it. Only once it is fetched do you run the logic code. It is also fair to give the logic code an object representing no data (e.g. Null Object Pattern or a Maybe). This is ridiculously easy to test since all you only have to pass in some data and check the the output matches what you expect. // validate: check required fields, invalid ranges, etc. How do I handle IO? I have an outer piece of code (I call a use case handler, or just "handler") which is responsible for tying the logic to other integrations (database, API calls, etc.) needed for the use case. Sometimes logic steps are interleaved with IO, and so the logic has different function/methods for each step. The handler must check the logic response from the first step and perform appropriate IO before calling the next step. This design draws a very fine line between which types of testing is appropriate for which parts. Unit testing (even property-based) is appropriate for business logic code. Integration testing is appropriate for the integration libraries used by the handler. End-to-end testing is appropriate for the handler code itself since it may deal with multiple integrations. But the main win, and the most important thing to the business is the business code -- that decisions are correct. And this is now the easiest piece to test. The other parts are no harder to test than they were before, but still not worth the ROI for us yet. In my opinion unit-tests are documentation, so if your product change, your unit-tests must be rewrited. If you had to rewrite to many tests for a little change so maybe you should make your tests more flexible, or use them only to test the "freezed part of your code" (utils functions and algorithms). In case of API (constantly evolving) some tools create test directly from spec (Swagger maybe). I've noticed in my devs' specs they'll have tests for things like "this has been called once", "all parts of this if can be hit", yada yada yada, and then there will be things like "it returns all this info", "the info is sorted properly", "the info is in the right format", etc. Then if you look at my tests, they're "it returns all this info", "the info is sorted properly", "the info is in the right format", etc... things a user would see and that are in the story's acceptance criteria for the feature. Where I am, QA automation (end-to-end with a hint of integration testing) is a part of the formal definition of done, so a feature isn't considered done until both of us have written the same thing just at two different levels. If you haven't already, you should read Joel Spolsky's excelent article Five Worlds. To sum it up - great programmers sometimes come up with tips and best practices that make perfect sense in the area they work in, but are not very useful and maybe even harmful in other areas. I believe unit testing is one of these best practices. When it comes to library development, for example, unit testing are great. In other areas their RoI is too low to be useful, and other kind of tests should be preferred. When you are developing a library function, you write a small main that prints it's output for some hard-coded inputs. When you are developing a new feature, you run the entire program and use that feature to see that it works. You can't test the new feature with a custom main. I mean you can - but that would be a lot of work to re-create the environment needed to test that feature, and in the end it won't be very effective because that temporary environment may be different than what you use in the actual program. You can't test that library function by running the entire program. I mean you can - but you won't be able to give it the inputs you want to test and you won't be able to directly see the output. Unless you use a debugger, that is. Also, having to run everything up to the point that function is used will make your cycles needlessly long. Since the manual testing strategy is so clear, the automated testing strategy should mimic it. Use unit tests for the library function and integration tests for the feature. Some people will insist on unit tests for the feature, but that has the exact same drawbacks of manually testing it with a custom main. When working with a mature framework, or using a good library, features should usually come in the form of extensions. The purest extensions are those that are almost entirely declarative. i.e. you are just picking what functionality offered by the framework to compose into your new feature. When a piece of code simply composes, or declares constants, there is nothing to unit test. There's no such thing (at a unit level) as declaring the wrong constant or composing the wrong functionality. The declarations should trivially match your requirements, and (though we may have our opinions) there are no wrong or right requirements. If you write unit tests to re-assert declarative requirements, you will just have to change those tests as the requirements change without ever really protecting the "correctness" of anything. Also, these extensions are usually the most sensitive thing to API changes, and can double your clean-up effort if you have a framework API update. Of course there are usually logical utilities and functional bits added with feature extensions, but those can usually be tested in isolation of the declarative bits. Their functional bits can always be made into a local mini-library, which is again just composed into the final feature, locally testable, and ideally not sensitive to changes to the API that the feature is extending. High level integration tests are what you need to guarantee that you've composed these features properly to produce the desired effect. My guess from the OP stating that there were hundreds of tests to change on an API change is that he was either testing declarative bits, or didn't have declarative bits properly isolated. In my part, I don't recommend writing unit tests for every class. Only for classes that changes behavior based on various arguments and conditions. It validates my understanding of the requirement. There's a tendency for us developers to jump right into coding without fully grasping the requirement. Writing unit tests forces us to think and ask questions even before the actual coding. Which eventually saves us more time than rewriting code from previous assumptions. Acts as harness after refactoring and bug fixing. Tests should still be green after code changes. It's a quality layer that signals me that I didn't break anything. Like @JeffD said, also a documentation. I've written and deleted a lot of unit tests. Requirements may or may not change in the future. You don't know when or if it will but for this time that it's true, its better to write unit tests than to write none in anticipation that it will just be deleted or changed in the future. Hopefully, these insights helped you. On the other hand, unit tests have very low ROI when a feature is not business-critical and has requirements that change very frequently. Note that the value of unit tests is like everything else: it depends. As to alternatives, I’ve had cases where API tests (on a running test instance of the application) provided an immensely high ROI. Integration tests, in the sense of testing the collaboration of a chuck of your codebase, those have for me always had a low ROI, because of the effort in setting up while still only resembling actual production behaviour (due to the mocked parts). My take on unit tests is to avoid them. Write your software ina way it could be tested easily, as this will keep your code decoupled, will force you to explicitly inject external stuff and more. But if you have a decent type system and a bunch of integration/end-to-end tests, unit tests are not worth the hazzle. In my opinion, unit tests are great as a scaffold while building something. I'm not sure how much they help after that. If the behavior that they're testing can be pulled up into the integration test, then that might be better, which would leave more room for refactoring the implementation (although pulling them up too early might be a waste if you don't feel the need to refactor the implementation). So my stance at this point is: write unit tests, but don't get too attached to them. I have to say that I do not think there are good alternatives for unit tests. Your gripe with them so far is that they did not catch mistakes and slowed down development, right? I do not think any testing approach will prevent programmers from making mistakes, instead you should focus on writing simple, SOLID methods that are easily unit-tested and then supplement with contract tests as explained in Integrated Tests Are A Scam. As for slowing down development. How come? Normally when you have an API and tests for it, it should only grow in capabilities. If you have changes that require rewriting half the suite, the tests must be bad (sorry! ), probably coupled to implementation details, not behavior. As counter intuitive as it may seem, the answer to your plight is more, better unit tests, not less, and not something else. Using TDD does change the way I write my code but I feel like it improves the code in terms of readability and maintainability (probably performance too but I've not tested this myself) by ensuring I use pure functions and ensuring there are as few side effects as possible. For projects that are going to be maintained long term (more than a couple of months) I find unit tests to be super useful. If it's a very simple or short lifespan project I agree that they add needless complexity to a project. Interesting point with regards to only being able test things you plan for, I guess this comes back to "devs shouldn't test their own code" and I'm not sure how we could improve this situation other than let QAs write some test cases too which is obviously not suitable for every business. Not sure on alternatives really, I guess it depends on your situation and the project at hand but I don't think every project should use unit tests for the sake of using unit tests. I think it totally depends on the expectations of the system, how much experience you have, and the risk you can afford. One of the systems I've been working on for about 14 years is a CRM. It's probably about a million and a half lines of code with a few hundred movable UI components. At one point we had around 10,000 unit+integration tests but have removed many of them. The issue is it tolerates a fair amount of mistakes in edge cases as they typically don't impact many employees at a time because someone with knowledge of the business tested the feature before it went into production. My goal is to try to provide the business with a high ROI for development time and over the years I've seen what works and what doesn't. These days I typically use very few unit tests. In fact given the application I try to limit situations where I feel they are necessary at all causing fewer errors, faster turn around etc. Most of my development is a UI, maybe some business logic, a model, and a DB. 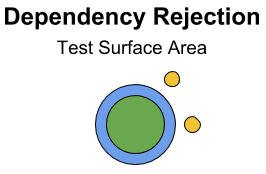 If I have tests I make a class with dependency injection just to test the business logic, and many situations there is no business logic to test. If there are very few critical paths or few people are using it I may also not add unit tests. Financial portions of an application typically receive many more tests. If you are a new developer unit tests may be useful to help you understand the potential issues with the patterns you use. Unit tests don't replace integration tests. Or making tests to reproduce bug reports (seems you missed it the first time). I think most new developers make things complicated enough to require tests because they are bored or because they think it is clever or they just don't think long term. It may unintentionally function as a training exercise. In my experience systems with a few repeated patterns over and over seem to stand the test of time much better. Much of the "complicated" code just comes from tried and true libraries you shouldn't be editing. The best business code is something someone else who isn't even a great programmer can sit down at and understand quickly so they can add additional features that are valuable to the end user. You may however be in a very different situation. If you are writing a library to release, your company screams at you for every little error, your software will be installed in hardware and sold, it is customer facing, it is life or death, etc then I would change the way I write and test it accordingly. As a note one way I reduced complexity (and unit tests) was to not be afraid to move complicated things to the administrative user space where possible. This also allows the business to build groups of people who may not be "programmers" but who can set up complicated business logic on a test server, test it, and move it to production without a developer even being involved. Your software will be more resilient to change. Along those lines I recommend moving anything that looks like a report to it's own department or at least its own thought process/repo. /rant (since they canceled our fireworks due to rain) lol. I'm surprised that no one has yet mentioned monitoring. The alternative to building classic object-oriented software guided by tests is to develop microservices with extensive real-time monitoring and alerting. If something's broken, the service will go down, or a metric will spike up/down, and the developer who owns the microservice needs to fix it. This approach is sometimes called programmer anarchy and requires a high level of maturity across the whole team. Didn't consider this as an alternative to unit tests until now. But seriously, PBT is a good secondary layer to proper unit tests. I'll be glad to answer any questions! When I was at uni, unit testing didn't exist. We had "black box" and "white box" testing (which kind of map to integration and unit testing). But if anything, the idea that developers needed to write any testing code at all was seen as a general failure of Computer Science. There was an emphasis on things like formal verification (so, using mathematics to verify that code is correct) and the hope that you could just specify what you wanted and the program would be automatically created. So I'm not surprised that you lecturer wasn't a fan of unit testing. In some respects unit testing is an industry-wide wrong turn, but then unit testing is a lot easier than some of the alternatives (have a look at Z Notation - when I was at uni the course in it brought people to tears). To me, you should treat tests like features and features like wizards. As Gandalf has said, "A wizard is never late, nor is he early, he arrives precisely when he means to." To me, 100% test is always too early. By writing tests to 100% completion, you are saying that your features are 100% done, and that your product, in turn, is 100% complete. So, when that requirement came in, there was no room for it, thus forcing a rewrite of the system to accommodate it. Tests aren't just an assertion that everything is complete, but a measure of how much work the product needs. Another way to think about it, is using the same quote, but focus on the last bit. "...he arrives precisely when he means to." Rather than testing what you say (code), you test what you mean (intent/behavior/requirement). Sometimes, we developers only know code, we don't know the requirements. If that happens, then any tests that we create may be worthless, as they do not express what was intended. Due to lack of communication, you did not anticipate a new feature, thus creating new work. 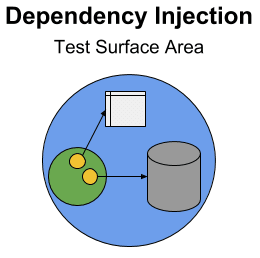 Some may argue that dependency injection would have solved this, but unless you apply that to littlest model, there will be some way that this will get you. This is why agile was about building smaller and communicating faster. I like to think about tests in a different context than TDD. Rather than testing to mean asserting, I like testing to mean trying it on, sort of like shoes. If I like the result, I will lock it in. This idea harkens back to when we started programming. Code a bit, complain about a missing semicolon, compile it, play with it to see if it works, repeat. With this same idea, we just gain two things: it is automated and no CLI required to input. This will bring a different mindset into testing. Rather than building the test first or last, it is with the feature. Code a bit of the implementation. Code a bit of the test. Code a bit more of the implementation, code a bit more of the test. Rather than the test being something to assert against, it becomes an explanation of your intent. This is what it means for a test to become your documentation. Of course, that should not be your only form of documentation. Just because it passed the unit test, does not mean it is correct behavior. First, always have a way to test your code, and always make sure you are testing your code before deploying it. This, to me, is the essence of test-driven development. Whether you should do unit tests or not really depends on how easy it is to test the feature you are testing. Some blocks of code are deployed directly on the main the path and are therefore easy to test. You simply fire up the app and go to that screen. Other blocks of code are deployed outside of the main path and require a complex set of conditions to trigger them (date-based logic, complicated enterprise workflows, uncommon error states). In my experience the latter is where you get the best bang for your buck with unit tests. Maybe you've got some receipt validation logic that only gets run after a user logs in, picks out an item, goes to the checkout, pays for the item, etc. If the receipt validation logic is run at the end of that long chain of events, it's going to be difficult and time-consuming to manually test all of its possible success and error states. So why not break the receipt validation module away from the rest of the flow and send some sample data through it so you don't need to keep wasting time going through all of those steps just to test a single part of it? Since you have determined that it is too time consuming to test the receipt validation module at the point of integration, you take the wiser path and test it as a completely separate component. Unit tests are like my Cuisinart Food Processor. I don't use my Cuisinart for most kitchen tasks, but some tasks, like making almond butter, are utterly impractical and ridiculously time consuming without it. When unit tests are the right tool for the job, nothing can replace them. But I don't throw everything into my food processor, and neither should you. For API testing I preffer scenario tests. Good way is docs.cucumber.io/ which is really strong. From my experience you should have at least 10 times more code in unit tests than actual code if you want to do true TDD. Also, if you achieve 100% coverage as some code metric tools tells you, you've only at least covered every line with at least one unit test. This says nothing of whether or not you've actually tested every possible input, so there will still be bugs (if you find one write a unit test before you fix it). As for the issues you mention above, I only have a few comments. Code bases that use unit tests at least have the benefit of being written in a testable manner. And therefore can be more maintainable. I once thought of unit tests as useless. Because it took me more time to write them than just bust out some code. Now having successfully written a template engine using TDD I'm a believer. If you think that all you do as a dev is put your hands on the keyboard and start typing, then having to write unit tests seems like a waste of time. But what about all those hours we spend staring at a screen trying to actually write the code or worse yet trying to figure out why we wrote it that way and why the XYZ doesn't it work like I think it should? 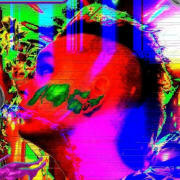 Now come full circle with me. What if while you were thinking about what to write or how to fix it you just write some unit tests while you thought about your issue. Some great things start to happen. First you think about the problem more. Next you are forced to come up with possible inputs, go ahead write that whacky test you don't think matters. Maybe just maybe it will help later on. Lastly, but not finally, you go back to having your hands on the keyboard more but your using the unit tests to help your thought process. And what you are left with is tested code that can be more easily refactored. Now as for those 100 unit tests you had to refactor... Why not approach the rewrite the same way as new code? You had to think about the change, why not have some unit tests to show for your thoughts?